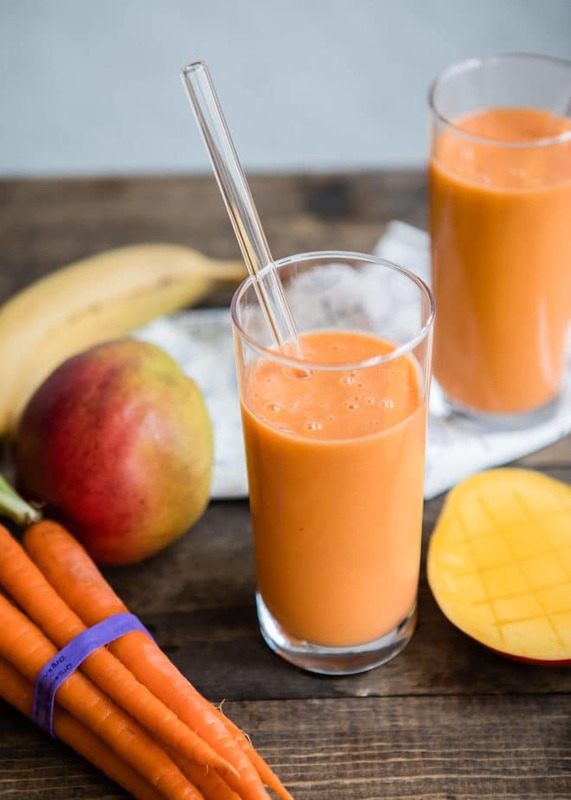 This delicious, vibrant Mango Carrot Smoothie is packed with nutrition and ready in minutes. Just 4 ingredients and so easy! 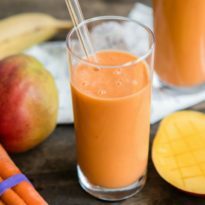 Shortly after I got my Blendtec blender, I was paging through the accompanying cookbook and saw a recipe for carrot juice. How bad could it be, right? It’s just carrots and water. Guess what it tasted like? Carrots and water. Yeah. Shocking, I know. But not nearly as tasty as I thought it would be. So it got me thinking, was there a way to drink carrot juice that wasn’t quite so, well, that? Can you put carrots in a smoothie? Of course! 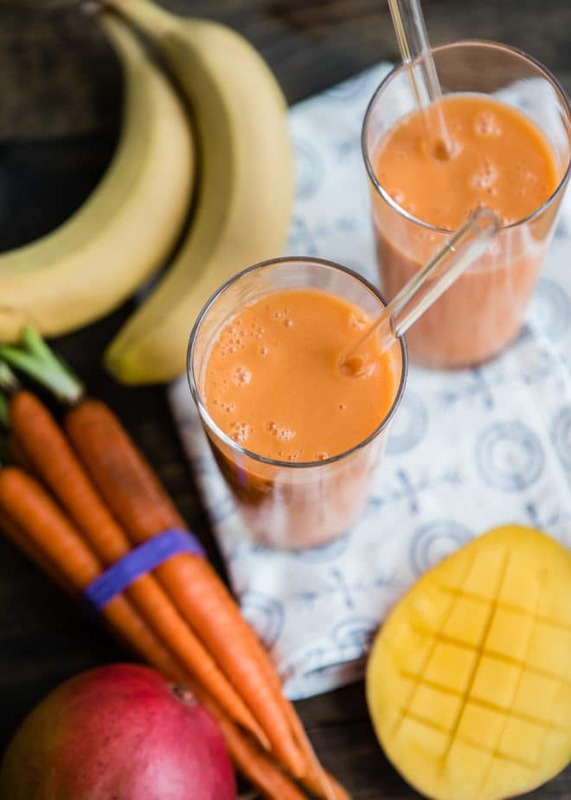 I use 1 cup frozen carrots in this smoothie, but you can also substitute 1 cup of fresh, shredded carrots. And then I was also thinking about how sometimes unripened mangos taste like carrots. And so maybe they belong together. And wouldn’t a bright orange smoothie be so pretty? Because all my other smoothies are pink and green, or pink and green. I needed something orange in the mix. 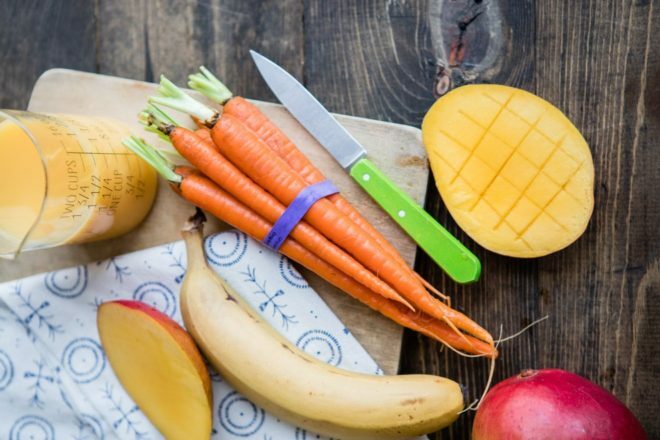 Save this Mango Carrot Smoothie to your “Drinks” Pinterest board! Combine all ingredients in a blender in the order listed. Blend until smooth.